Will Digizoom services work out well for my business? We can create a free simulation for you to comprehend your online potential. To get started with out free simulation please click here. Is there a minimum Google budget amount to spend? We do not have a minimum budget requirement, however in some cases it is better to have a relatively higher budget to get good results. Are you compliant with EU privacy legislations? Yes, since we are an Amsterdam based company, we fully comply with the EU rules. 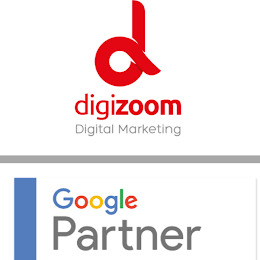 Yes, Digizoom is also a Google Partner; which certificates our expertise. Will I be supported through the entire journey? Yes, you can always call, email, live chat with our experts. You can also stop by our office! We speak English, Turkish, Dutch and German. In which sectors are you an expert? We are highly experienced in Air travel, tourism, fashion, e-commerce, medical and medical tourism. For which countries are you setting up campaigns? We mainly run ads in Turkey, the Netherlands, Denmark, UK, Germany and Arabic countries.